Purple, pink, brown, golden... together these colors make a unique mix that I absolutely love! On these lamplight pics Wine Crush looks darker than it is in daylight, there the purple/pink stand out more and it looks softer like that as well. I might end up showing this again when I can make daylight pics again, it's one of my fav textured polishes in my collection! 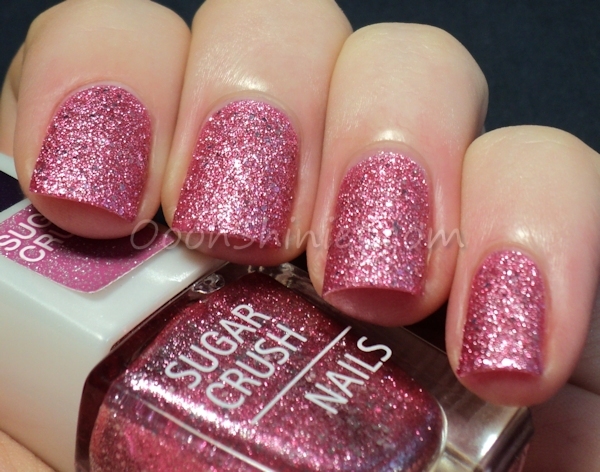 Candy Crush is a bit different from the other 3, those are Sugar Nails polishes, this one's a Sugar Crush Nails polish. The difference is that the other 3 are all fine textured, this one has larger glitters in it as well. 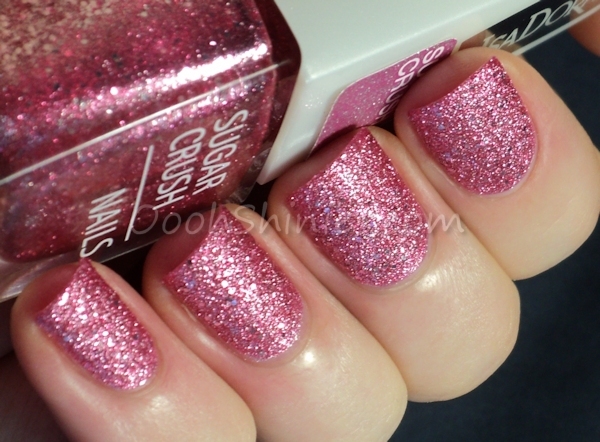 Pink with larger silvery/pink glitters, cute!